How do you select the best oral surgeon for your particular needs? This is a question that we received very often from our San Francisco patients as well as our patients throughout the San Francisco Bay Area. They might call on the phone, for example, and ask, how do we know that you are the best oral surgeon? Or they might ask for references, or they might check out reviews on social media sites such as Google or Yelp. Or they might ask their dentist or other referring physician for recommendations as for the best oral surgeon in the San Francisco Bay Area. However, let’s examine this issue a bit more systematically. The reality is that there are many fine oral surgeons both in San Francisco and throughout the San Francisco Bay Area. We are fortunate to live in one of the technologically more advanced regions in the United States, and in California. There is an abundance of very smart people throughout the Bay Area, and this includes oral surgeons. So, fortunately, many oral surgeons that you might choose are going to be just fine, especially for more common procedures such as the extraction of wisdom teeth. For other procedures, such as job surgery, you may want to dig a bit deeper. We feel first and foremost that our job is to create a personalized surgical plan for each and every patient that has the best probability of creating the best surgical outcome. Of course, surgery is as much art as science, and there are no guarantees. There are, of course, risks to every surgery, and we inform every patient of those risks. 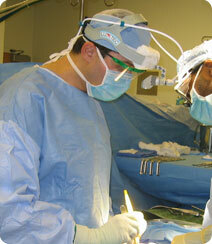 However, Dr. Rabinovich works very hard to customize a surgical plan for each patient. His goal is not only to be the best oral surgeon in the Bay Area but also to create a personalized, customized surgical plan for each and every patient that has as its aim to be the best plan for that patient. So one way to choose the best oral surgeon in the Bay Area is to interview different oral surgeons, and research whether they will work with you on a customized surgical plan, or whether they are more cookie-cutter in their surgical approach. Another important issue to point out when one is looking at top or top rated surgeons in San Francisco, is to ask what types of surgeries they do. Dr. Rabinovich, for example, is a true expert in the area of job surgery. Many patients come to him looking for specific cosmetic or jaw surgical resolutions, which are more complex than your garden-variety wisdom teeth extraction. Finally, one of the important issues with respect to choosing the best oral surgeon has to do with affordability. Does your oral surgeon except your insurance? Will he or she work with you on a financial payment plan? We accept many insurance programs, and work very hard with our patients to make oral surgery affordable. Don’t forget that we are also keen on second opinions. We are happy to do second opinions about potential oral surgeries. Most surgeons try their best to identify the best possible surgical outcome for their patient, and are open to second opinions as a way for the patient to become better educated. This entry was posted in Oral Surgery and tagged Bay Area, Oral Surgery, San Francisco on February 13, 2016 by Dr Alex Rabinovich.